Gilbane’s extensive experience in healthcare environments allows us to formulate procedures specific to the manner in which construction is performed near any occupied areas allowing us to mitigate disruption to patients and staff. 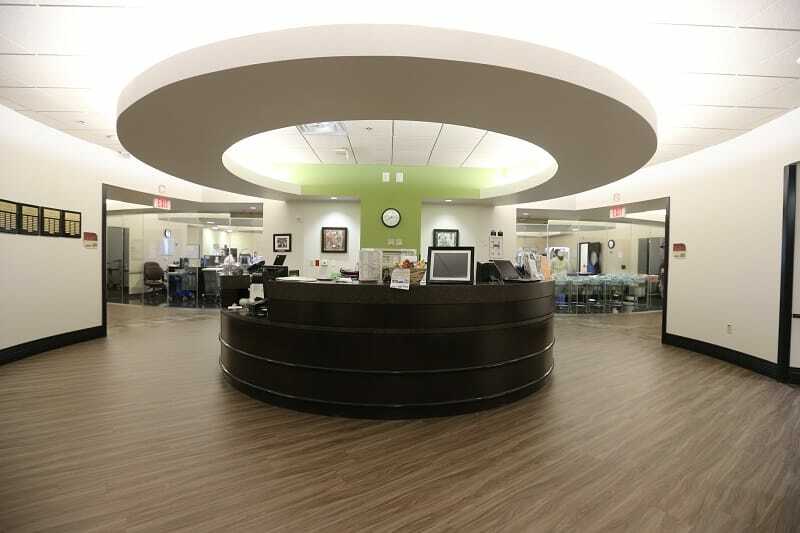 Architect: Fred M. Humphrey & Associates, Inc.
Gilbane provided construction management at-risk services for multiple projects within Orlando Health’s Winnie Palmer Hospital for Women and Babies. Infant Milk: This project provided space for mothers to give (mother’s) milk and store it for their newborn babies. The facility offers a relaxing space for mothers to lactate for their babies and a pass through to a sterile area where the milk can be stored. The project involved the renovation of surrounding areas within Winnie Palmer Hospital, and is directly adjacent to the third floor neonatal intensive care unit (NICU). 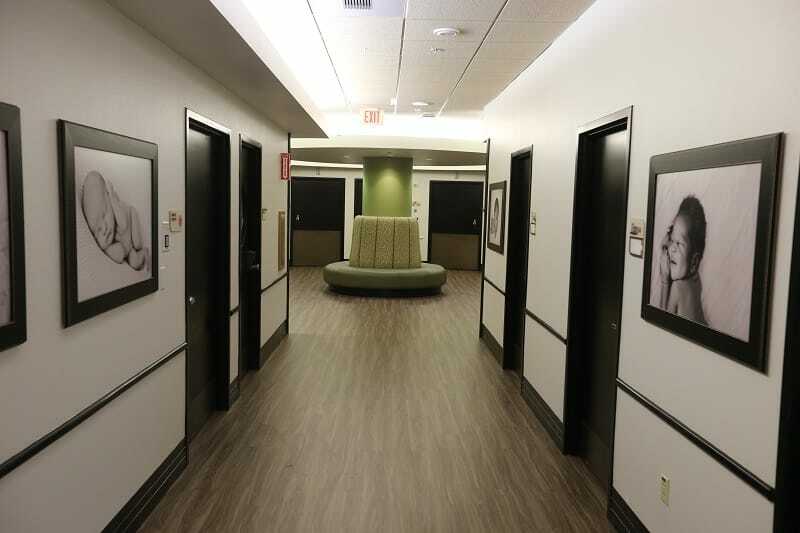 Hospital Finish Upgrades: The scope involved renovation to six floors of patient rooms including corridors, nursing stations, and all lobbies. 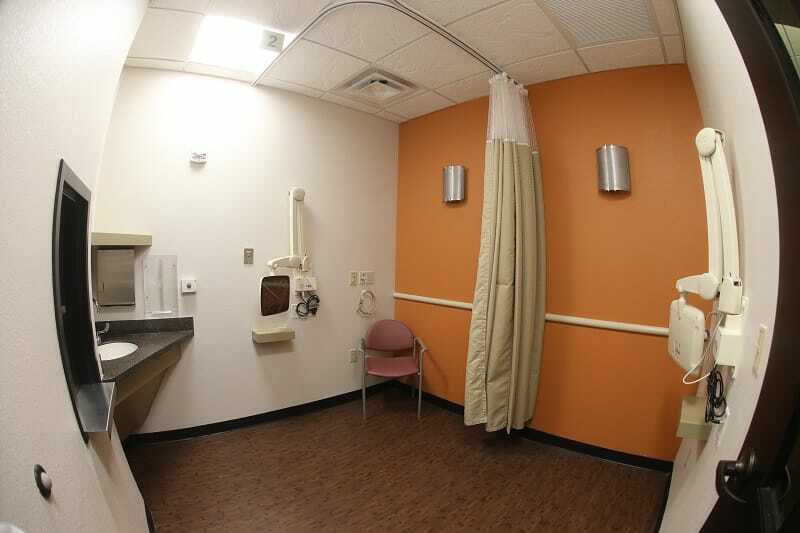 The Finishes Upgrade project required extensive infection control measures, as the renovation involved all patient rooms, all patient corridors, nursing stations, and all lobbies. The project also involved over 120,000 square feet of renovation. The hospital remained fully operational during the renovation and required close coordination with hospital staff to ensure patient safety and privacy. Hospital Fountain Upgrade: This project involved the complete renovation of the fountain at the main entrance to Winnie Palmer Hospital for Women and Babies. The project included rerouting of all hospital pedestrian and vehicular traffic to a temporary entrance providing temporary covered walkways, infection control barriers and the addition of a new completed sealed water feature that encases the entrance to the hospital with LED lighting. ECHO Project: This project involved the renovation of 500 square feet of space for an ECHO reading room at Winnie Palmer Hospital for Women and Babies. The ECHO renovation project added millwork, flooring, drywall, and plumbing upgrades to the space. OR Equipment Upgrade: The project involved upgrades to the steris booms in eight of the existing operating rooms within Winnie Palmer Hospital for Women and Babies. The 3,484 square foot project involved multiple trades, intensive ICRA measures, and complex phasing. Third Floor NICU: This project involves renovations to Winnie Palmer Hospital for Women and Babies Neo-natal Intensive Care Unit (NICU) located on the third floor of the hospital. Working with AHCA to review the progress of the construction, the Gilbane project team scheduled site inspections every three weeks. This type of coordination was a key component to assuring all work was done in compliance, within regulations and completed on time.